Sustainability - Glorious Gardens, Inc.
For Glorious Gardens, sustainability means creating and caring for gardens in healthy ways that preserve and enhance the environment for the next generation. Sustainable gardens are designed to be suitable to their environment. They minimize the amount of water required to keep them healthy and thriving; they contain plants which are suited to their climate and location; they help support the birds and beneficial insects surrounding them; and they function as part of the local environment, which means minimal fertilizer and energy should be required to maintain them. Why Create a Sustainable Garden? Sustainable gardens are good for the planet. An appropriately designed garden will work within local conditions to minimize resource use and maintain biodiversity. Sustainable gardens work to limit or eliminate the use of chemical pesticides and fertilizers, and make the fullest possible use of recycled materials. Sustainable gardens are good for your pocketbook. 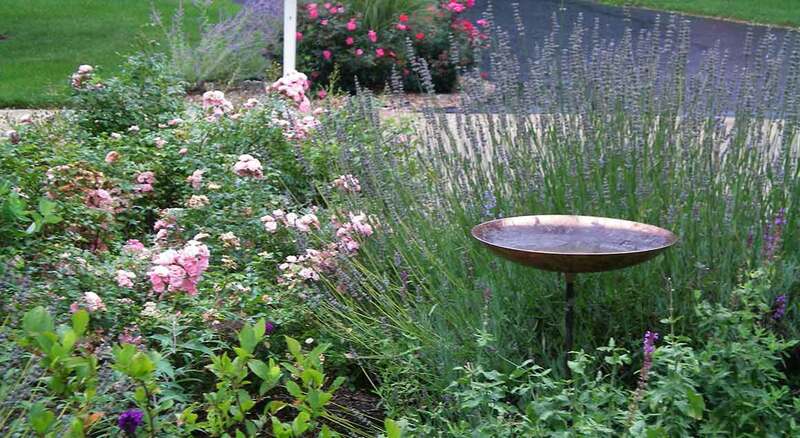 A garden with appropriately selected plants customized for the normal rain profile of the area will require less water once it is established. The same plants will also require less fertilizer, especially if the soil can be initially conditioned and periodically boosted with natural sources of nutrients such as compost. 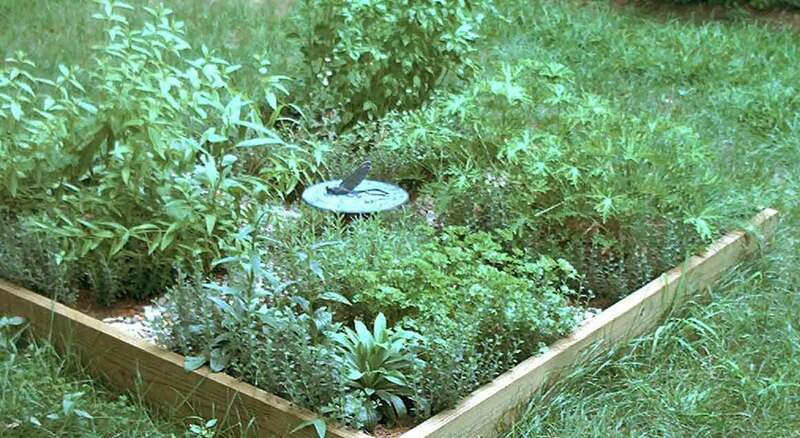 Finally, a sustainable garden will be attractive to birds and beneficial insects which will help to naturally control annoyances such as mosquitoes without resorting to chemical pesticides. How Can Glorious Gardens Help You Create a Sustainable Garden? Glorious Gardens can create a sustainable design with you OR modify an existing garden design to integrate more sustainable plantings or features. One important factor in sustainability is the use of native plants. Plants native to our area are acclimated to its temperature curves and rain profile, which means that they will be easier to maintain. Plants native to our area also help maintain habitats for wildlife. Glorious Gardens actively participates in the Missouri “Grow Native” program sponsored by the Missouri Department of Conservation and the Missouri Department of agriculture. This does not mean that a garden is restricted to the use of natives; Glorious Gardens can also select non-native plants which are suitable to our area and which have proven to be neither invasive nor harmful to our ecosystem. Appropriate garden design can also take advantage of natural features in your landscape: such as grouping plants with similar moisture demands together, and putting dry, heat-loving plants in open windy areas of your landscape. 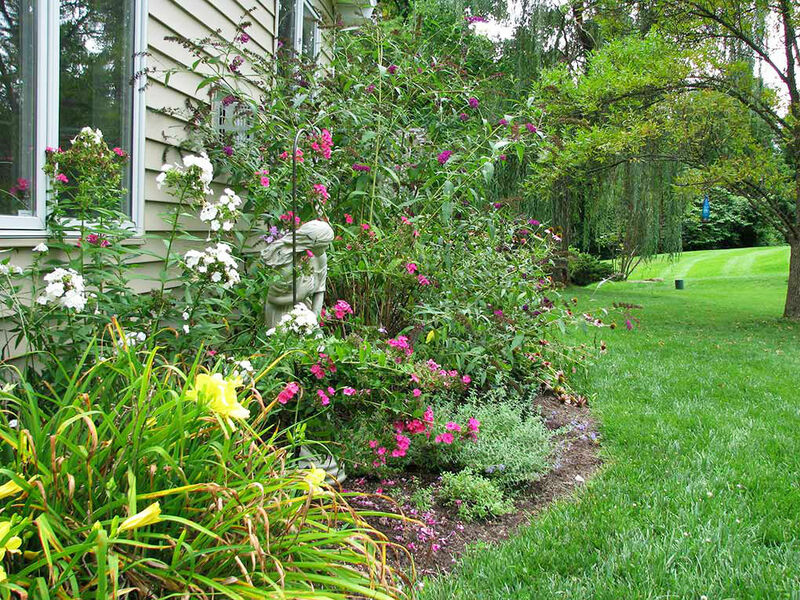 Rain gardens are created in low-lying areas of your property to capture run-off from hard surfaces, absorb the water, and lessen pressure on storm drains. They can be thought of as mini-wetlands. Planted with natives to minimize the need for fertilizer, they can provide low-maintenance areas of year-round aesthetic interest. Bird gardens are just what the name implies — gardens specifically designed to attract and provide habitats for songbirds. As such they have a mix of trees and vegetation which provide nesting, food, and shelter for birds. Plants in butterfly gardens are selected to provide the host plants for butterfly larvae and the nectar sources these beautiful insects need. The wildflowers in butterfly gardens add season-long colors as well as the attractiveness of the butterflies. Glorious Gardens offers a full range of organic fertilizers and pest and disease controls as alternatives to traditional, petroleum-based chemicals.